Earnings season is the time during which publicly-traded companies announce their financial results in the market. The time occurs at the end of every quarter, i.e., four times in a year for U.S. companies. Companies in other regions have different reporting periods, such as Europe where companies report semi-annually. Public companies release their performance figures and reports during the earnings season for use by investors and other stakeholders. 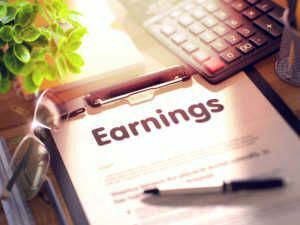 Earnings season occurs after the end of every quarter in a fiscal yearFiscal Year (FY)A fiscal year (FY) is a 12 month or 52 week period of time used by governments and businesses for accounting purposes to formulate annual financial reports. A Fiscal Year (FY) that does not necessarily follow the calendar year. It may be a period such as October 1, 2009 – September 30, 2010. – June, September, December, and March. The season typically lasts for a period up to six weeks from the end of the respective quarter. The lag is due to the time required by companies to close their books and consolidate the information for reporting. The term “Season” is used because a large volume of companies (especially within an industry) all report around the same time. Companies will intentionally space themselves out though, so investors and analysts can handle the volume of news. They will even rotate the order in which they release results for fairness. For example, this quarter Company A reports before Company B (in the same industry) and next quarter they switch. During earnings season, investors and other stakeholders get access to information through which they can form their opinions and make their own decisions. The financial results are of great importance to traders using fundamental analysis to evaluate their current or potential holdings. With the help of the earnings data and other related information, equity research analystsEquity Research AnalystAn equity research analyst provides research coverage of public companies and distributes that research to clients. We cover analyst salary, job description come out with forecasts and research reports that are used as a benchmark by investors to analyze the performance of the companies. Results during the earnings season also reflect the state of individual industries and even the entire economy. When most companies beat their projected earnings levels, it may point towards a healthy state of the economy, whereas estimate misses may indicate a weaker business scenario. Many times, the state of the stock market is dictated by a handful of stocks called bellwether stocks. Stocks like Walmart, Google, and Amazon are examples where the US market is considered. Market watchers tend to observe an increased impact on investor decisions during announcements of quarterly results. Stock markets see unprecedented volatility during the earnings season. According to data compiled by Goldman Sachs, companies reporting results are seeing four times the movement in their normal daily average. This is the most in the last 18 years. The movement across all sectors like healthcare, information technology, energy, etc. was higher than normal in the past four quarters (as of July 2017). The research done is in the context of the S&P 500. Wide fluctuations in the stock markets seen during the earnings season offer opportunities for making profits. Situations when companies are punished very harshly for missing their earnings targets but not aptly rewarded for hitting earnings milestones can be taken advantage of with the right timing of entry and exit. For example, due to low earnings shock in a particular quarter, a stock may become valued at a more reasonable PE multiplePrice Earnings RatioThe Price Earnings Ratio (P/E Ratio) is the relationship between a company’s stock price and earnings per share. It gives investors a better sense of the value of a company. The P/E shows the expectations of the market and is the price you must pay per unit of current (or future) earnings and thus, give an interested investor a better price for an entry. Similarly, due to positive earnings announcement for a certain quarter, a stock may jump to an unreasonably high multiple, setting the stage for a correction in the coming days. In this scenario, an investor can short-sell the stock and reap profits when correction takes place. Using derivatives such as options can also be considered. Strategic option bets for market fluctuations can be placed in order to realize returns in the short term. While earnings season is something that should not be ignored, investors should follow a balanced investment strategy in order to keep risks in check. For further information on evaluating company stocks for potential investment, take a look at some of the following resources. Get world-class financial training with CFI’s online certified financial analyst training programFMVA™ CertificationThe Financial Modeling & Valueation Analyst (FMVA)™ accreditation is a global standard for financial analysts that covers finance, accounting, financial modeling, valuation, budgeting, forecasting, presentations, and strategy. !